Cat's out of the bag: the controversial Keystone XL Pipeline will "not significantly worsen" climate change. The threat of environmental damage was a major hurdle to the pipeline's approval. 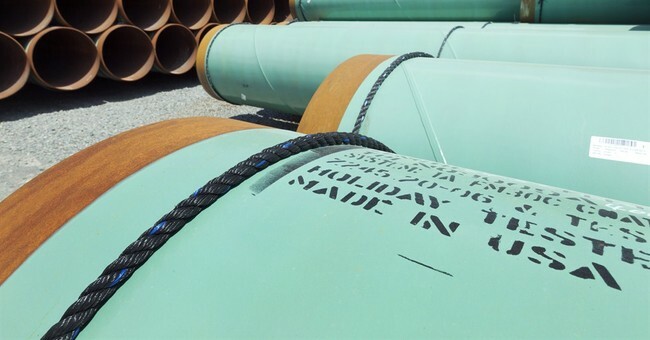 The Keystone XL pipeline has been in limbo for the past five years, when TransCanada applied for a permit to construct the American part of the pipeline. The source of the oil is the tar sands in Alberta, which are being developed regardless of any U.S. involvement in the northern part of the pipeline. The southern portion of the pipeline went into use in December. Anti-pipeline foes are now effectively out of excuses. The pipeline has shown to be quite popular among Americans of both parties, and the environmental effects have been shown to be a non-issue. The pipeline is expected to create upwards of 2,000 jobs. President Obama has the final call if the northern portion of the pipeline will be built.